Every bride has nightmares about what could go wrong. And these brides show us just how bad it can be. Thankfully, you can learn from their horrible mistakes! #1. Taking wedding party pictures on or near a body of water can backfire in ways you can’t imagine. #2. Inviting furry friends to join in the festivities can be deadly to your dress. #3. If you’ve always dreamed of zip lining down the aisle, make sure your groom gets his own zip line. #4. You might want to rethink using a tent for your reception if you’re inviting any amateur pole dancers. #5. Don’t hand the bride a tray of flaming drinks. Should be an obvious one, but not for everyone. #6. It’s worth repeating. Any part of your wedding near a body of water can end horribly. #7. Make sure your guest sign a consent form if your DJ is going to be playing drums on their body parts. #8. When picking a photographer, make sure they don’t have a history of violence. #9. When cutting a 5-tier cake, you might want to think twice about using a sword. #10. When a bride dreams of her perfect wedding day, champagne cork nosebleeds and bouquet black eye aren’t usually on her list. Now that you know what can go wrong, let us ease your mind and tell you what can go right. Hawaii Wedding can make sure your day goes according to your dreams. From wedding packages to expert planners, they take care of everything so you can concentrate on what really matters. Falling in love was the easy part, and now with the experience of Hawaii Wedding, you’re wedding can be a piece of cake! 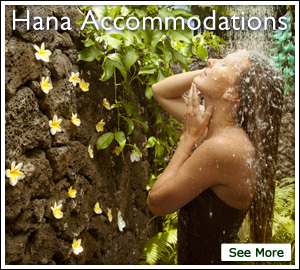 For more information on Hawaii Wedding, visit their website or call (800)859-0072.